Recent News | Tourmaline . I haven’t shared any updates with you as of late about publications and such and that’s largely because I haven’t been pursuing many. But I have received a couple features recently that I am quite happy about, so I thought it would be nice to share with you all. 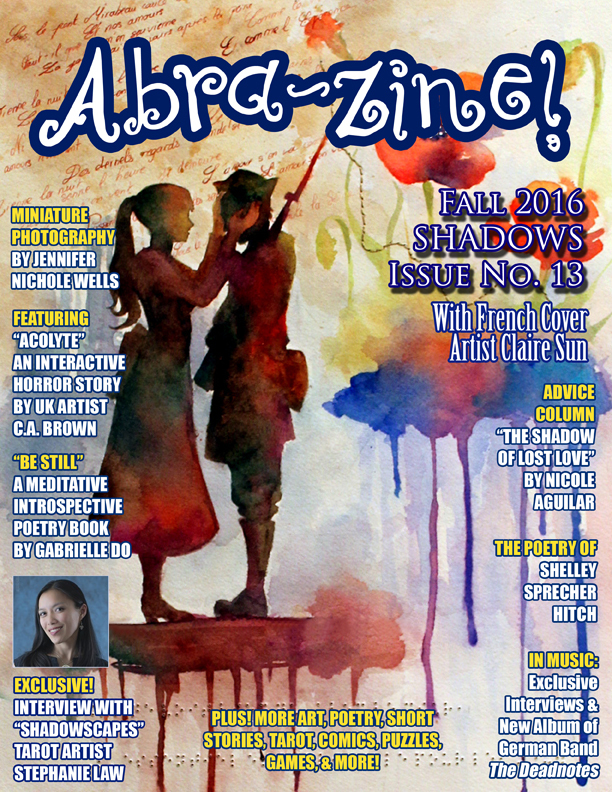 Last month, a new issue of Abra-Zine, a global arts and inspirational e-magazine, was released. It features the work of 17 contributors. You can find work from my Shadows and Apothecary-ish series within, as well as a bit of info about me. Download your own copy for free here. Also, yesterday I received an email from Viewbug that my interview had been chosen to be a part of their Behind the Lens gallery. You can see my selected image here. Scroll down to the bottom of the page where it says “Behind the Lens” to read all about it. You can view the gallery in it’s entirety here. If you’re on viewbug feel free to follow me. Let me know here and I’ll follow you back :) I took a hiatus from the site for awhile but I’m slowly getting back into it. Not on Viewbug? Join here. You can always see a listing of other publications of note on my about page here. That’s great news. One of my photos was also chosen to for the Behind the Lens gallery too. That’s amazing. Could you send me the link? I’d love to see it. This was one of the first images I uploaded to Viewbug. Just minimal editing and still it has done well. Thanks for getting the link to me! My image chosen was one of my original few as well.